Top city chef David Colcombe is flying the flag for Birmingham’s gastronomic scene at a prestigious food event in Chicago. Mr Colcombe, chef-director of Opus, was selected to take part in the Culinary Crossroads extravaganza as part of a team of internationally renowned chefs. 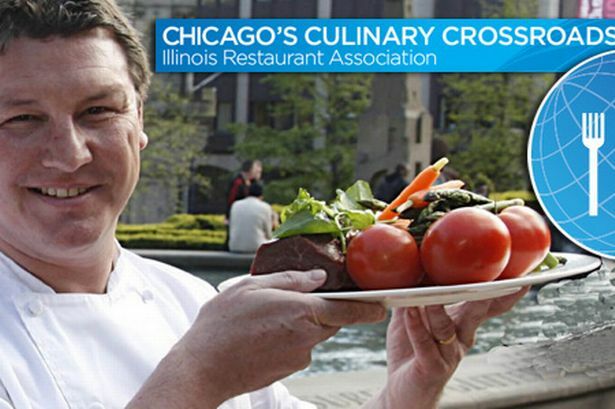 Culinary Crossroads, which started on Tuesday and runs until May 25, celebrates the diverse cuisines of the nations taking part in the NATO Summit in Chicago. Restaurants will be offering tasting menus and dishes inspired by the NATO countries. Mr Colcombe’s presence at Culinary Crossroads follows the championing of Birmingham’s food reputation by The New York Times, which selected the city as one of the Top 20 must-see destinations of 2012 based on its culinary attractions. Participation at the Chicago food spectacular is another feather in the cap of Birmingham’s growing gastro scene and offers marketing opportunities for the city in North America. Chicago and Birmingham are sister cities and both are also members of the Délice network of leading global food cities. Mr Colcombe, who will visit Chicago for five days, is being paired with Chef Dirk Flanigan of Henri and The Gage, two of downtown Chicago’s most acclaimed dining venues. He and Flanigan will work on an Opus-inspired menu which will be showcased at the French-influenced Henri during dinner service this week. Diners can expect a taste of Brum’s Colmore Business District (CBD) in the heart of the Windy City. Mr Colcombe will also join the international chefs – from Toronto, Madrid, Milan, Stavanger and Riga – and the host city chefs during a visit to local public schools, where they will take part in a panel discussion with culinary arts students. The chefs will also have the opportunity to provide feedback and guidance on the students’ own dishes. Mr Colcombe, who is Visiting Professor of Culinary Arts at University College Birmingham, said: “I am absolutely thrilled to have been asked to represent the UK at this great celebration. "We have a modern British menu at Opus Restaurant with a commitment to seasonality and freshness, which I hope to reflect in the collaborated menu in Chicago. Opus is one of several popular independent food and drink venues in Birmingham’s business quarter, Colmore Business District (CBD) and Michele Wilby, executive director of CBD, said Mr Colcombe’s participation at Culinary Crossroads, was another boost to the city’s culinary reputation. Ian Taylor, commercial director for Marketing Birmingham, said: “Birmingham is fast becoming recognised as a leader in cuisine, which is illustrated throughout the spectrum of food available in the city, from Michelin star restaurants to top-class independents. “Events such as Birmingham Food Fest, set to take place this July, give talented local chefs a platform to demonstrate their passion for good food and it is great that this is now being recognised internationally. “We will be working to further enhance the city’s reputation in this field and attract even more people to experience Birmingham’s food offer throughout 2012 and beyond."